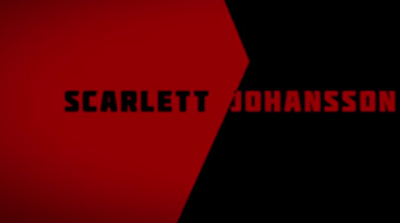 Since Marvel Studios has refused to make a well-deserved 'Black Widow' solo film, Christopher Haley took it upon himself to imagine what the title sequence of the movie would look like. As part of his final project for his After Effects class, Haley created an entire professional-quality opening credits with his own casting choices and even made up a plot. The result is beautiful and reminiscent of great James Bond sequences of the past. Cut off one head, two more shall take it's place. . . For this speculative title sequence of a Black Widow film I decided Black Widow's villain would be. . . Black Widow. Yelena Belova, to be specific. Belova believes herself to be the superior Black Widow, and in some ways she is right. Swift and ruthless, Belova is the most talented assassin to graduate from the Red Room--and now she is Hydra's most deadly weapon. At Belova's side is a super-soldier of her own, Alexi Shostakov--the Red Guardian, who also happens to be Natasha's former lover. When the new heads of Hydra make a play for the power of the infinity stones it is up to S.H.I.E.L.D. 's top agent to stop them. This was my final project for my After Effects class. I hope you enjoyed it. For professional inquiries contact haleymotion@gmail.com.